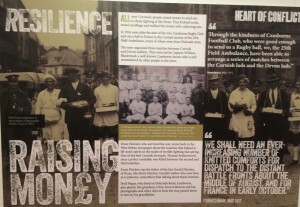 All over Cornwall, people raised money to sent out to those fighting at the Front. 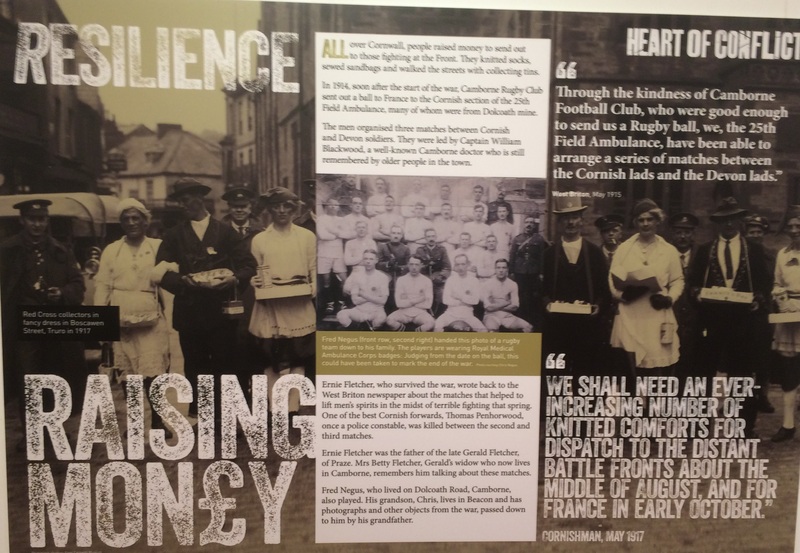 They knitted socks, sewed sandbags and walked the streets with collecting tins. Many churches and chapels raised money for Christmas presents: two that feature in Heart of Conflict are Redruth Wesley Chapel and Penponds Church. 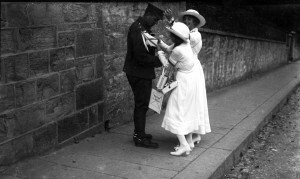 Egg days: a very popular national campaign and with even children giving up an egg one day a week for wounded soldiers and sailors. 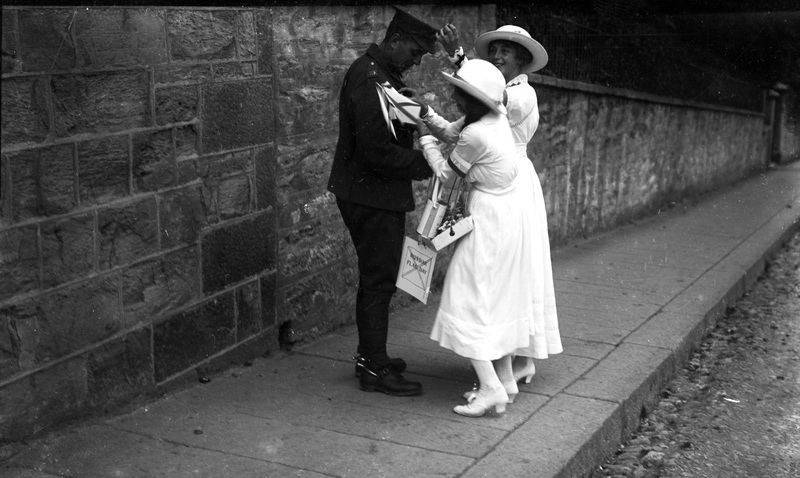 Smokers Fund Day – known as ‘gaspers’ to officers and ‘fags’ to the men, cigarettes formed part of a soldier’s rations! The fundraising was to provide cigarettes for wounded servicemen. These cigarettes were wrapped in lead, which is extraordinary to think of now. Vegetable day to collect vegetables for wounded service men. In St Ives, some of the artists formed the Belgian Relief Fund, as well as helping and homing Belgian refugees. These included Millie Dow, Herbert Lanyon, Moffat Linder, Edgar Skinner, Lizzie Whitehouse, Mary Camerson, Joshua Daniel and Caroline Pazolt.